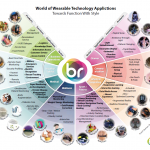 Do you want to know about Smart Home? — Learn from my experiences. That’s a total of 49. There are two other devices (the last ones below) that help keep my home WiFi network running smoothly. Below I’ll first reference each unique device and briefly describe my usage. Quite a few of the devices I bought have had newer models introduced, sometimes more than one generation, and this will only continue. All my stuff still works, but I can foresee needing to replace as time goes on. When a forum is added to the website, there will be a place for members to add their own stories. Also, if you have a story you’d like to share and appear as an article on the website with you as the author, let me know via the Contact form. 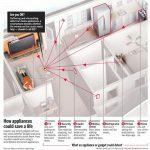 I have also provided stories of my Smart Home journey, including more detail about the devices than here. The stories are not entirely sequential. 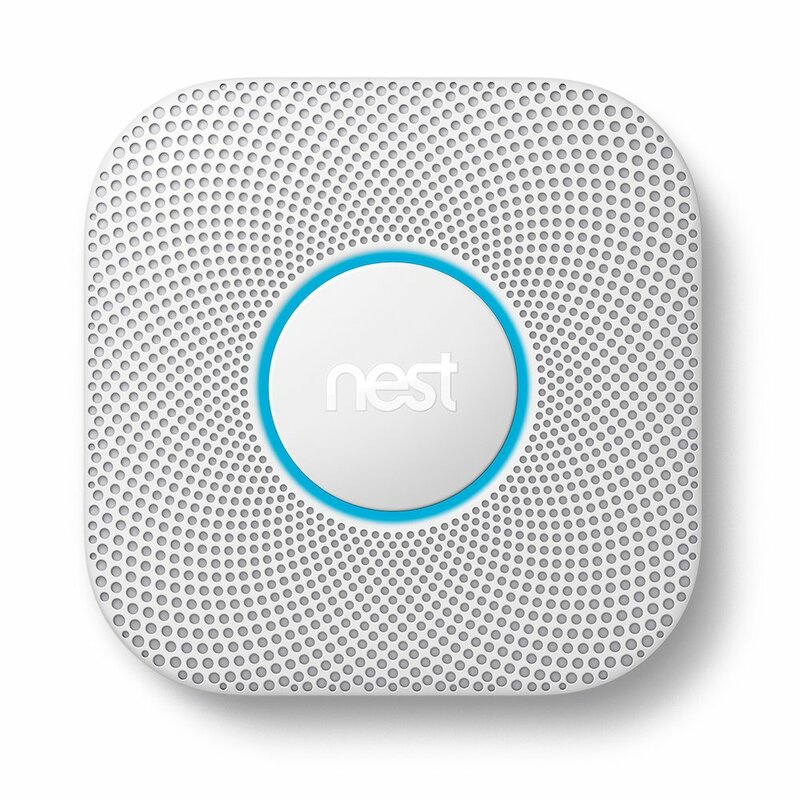 Some refer to changes in how the devices are used that happened after first installed. 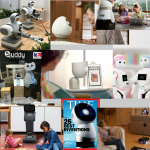 The stories will mention problems, issues, and considerations experienced and learned from my (first) two years with Smart Home technology. The more devices you have, the more likely you will encounter some of these problems and issues, although I experienced my first problem with basically one device (WiFi outlet). 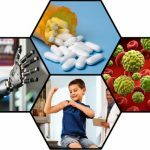 Many of these issues are related to the networks used by Smart Home devices – WiFi, Zigbee, Z-Wave. 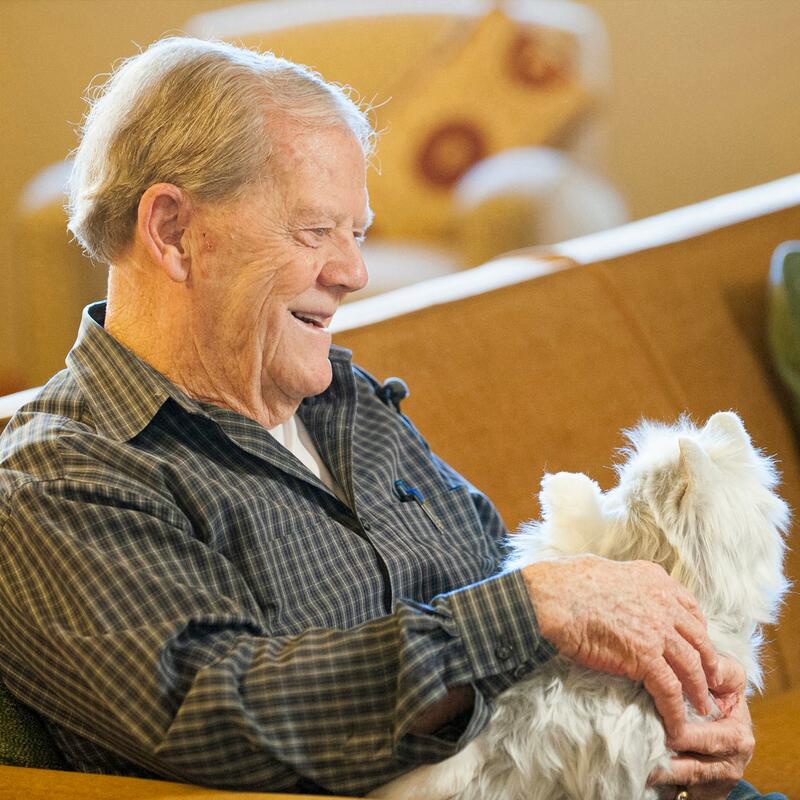 Even with the problems and issues, I believe that implementing all this has improved our quality of life. The Dot was my first purchase after my decision to begin this journey. As I have acquired more Alexa devices, this now resides in our vacation home. 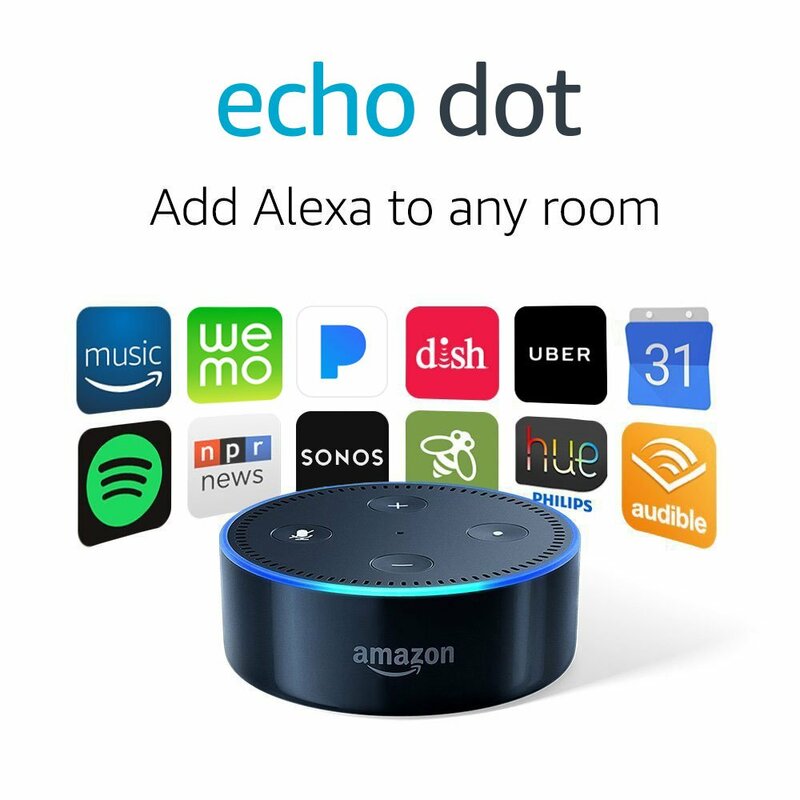 Mine is the first generation Echo Dot. Six months after introduction, the second generation was announced at a considerably lower price, and on 9/20/18 the third generation was introduced, for release 10/11/18, at the same price with improved features. The Tap was on deep discount during the 2016 Amazon Prime Day, so I had to buy it. It resides in our bedroom. My wife likes to listen to NPR in the morning. As it is portable, and I like listening to music while showering, I take it into the bathroom in the morning, and occasionally into the garage. It is no longer available new, only refurbished. 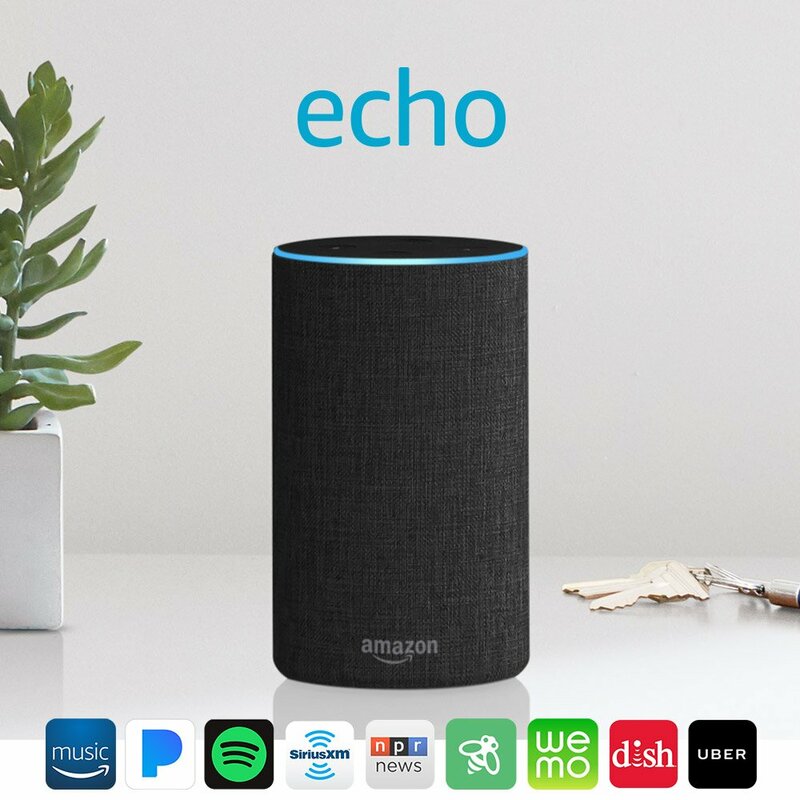 A few days after ordering the Tap on Prime Day, there was an Amazon Lightning Deal offering the original Echo at deep discount, so I bought that too. It had been used for almost two years in our kitchen, but will now reside in the vacation home too. A second generation (shown here) and a “Plus” model (also second generation for release 10/11/18) have since been introduced. I had purchased the Tap and Echo with the thought of installing one of them at the residence of my then 100-year-old mother-in-law, but that did not happen. 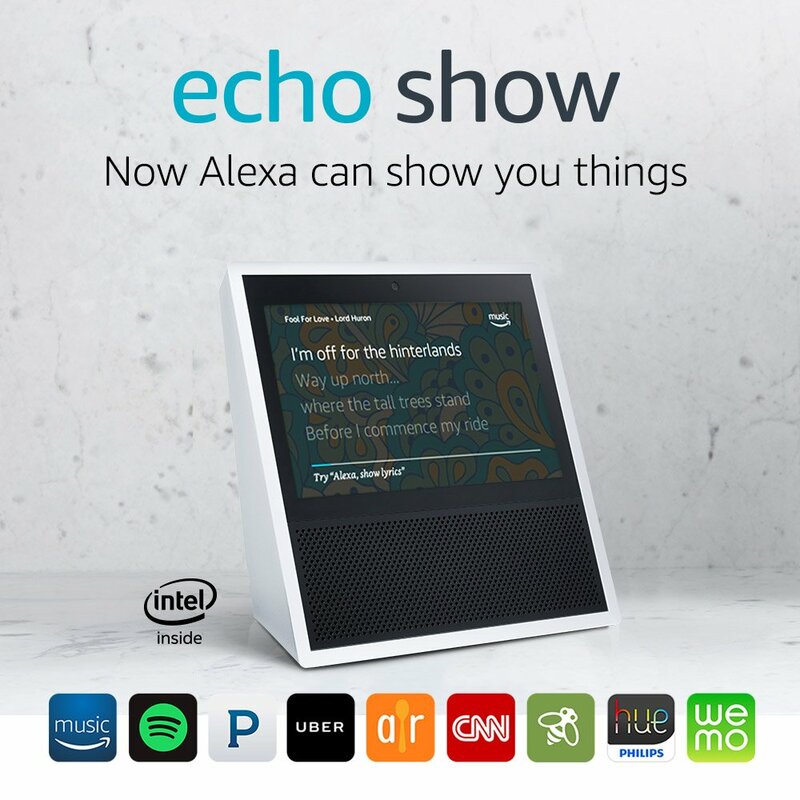 But when the Echo Show was introduced a year later (mid-2017), I immediately ordered two and did install one for her, and the other went into our kitchen. When she passed away in February 2018 (a few months short of her 102nd birthday) her unit replaced the Echo in my office. Amazon’s significant Alexa introductions on 9/20/18 included a major update, the second generation, also for release 10/11/18, appearing to be in reaction to Google’s competitive (currently via partners) offering. Another special deal, a free Chromecast, incented this purchase, which was intended primarily for business reasons. It resides next to my recliner in our media room. 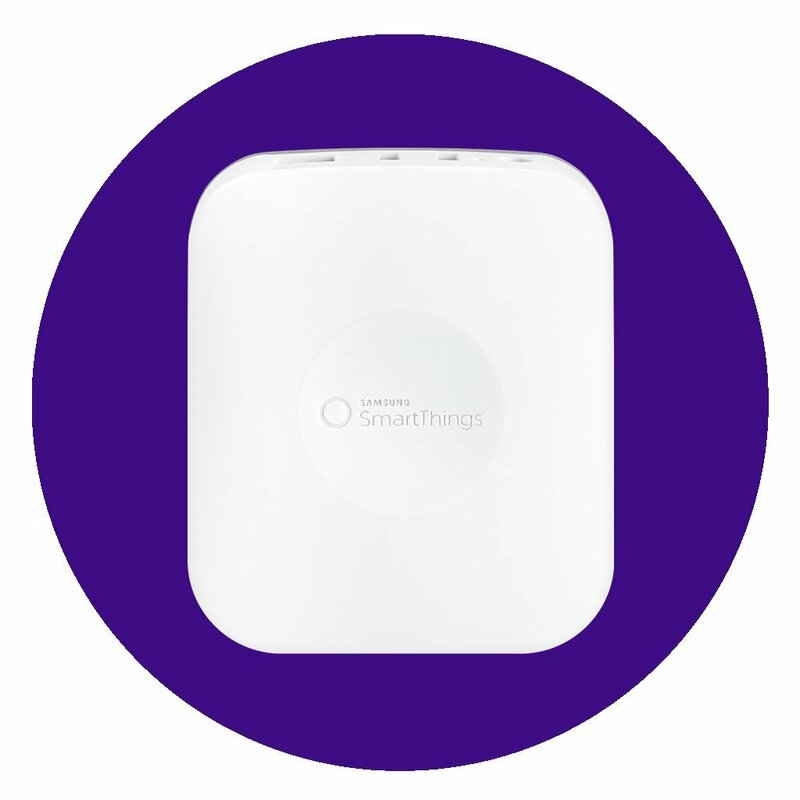 Most, but not all, of my devices integrate with the SmartThings Hub. I chose it for a number of reasons which I will explain in a story and an article I will write about Hubs. 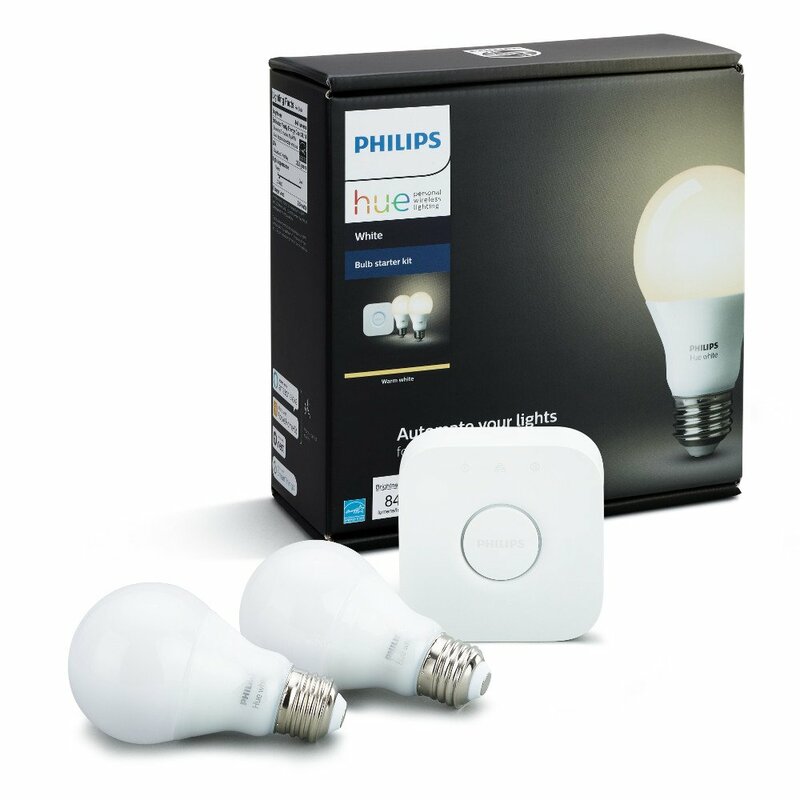 The Phillips Hue lighting system is very popular generally consisting of a hub and one or more Hue bulbs. We use them in floor cans in a few rooms. The Phillips Hue system does not include a wall switch. This replaced a dimmer switch controlling a bunch of ceiling lights in our kitchen. NOTE: The links are to the unit I purchased, but it is no longer available. Click here for the link to the upgraded replacement model. 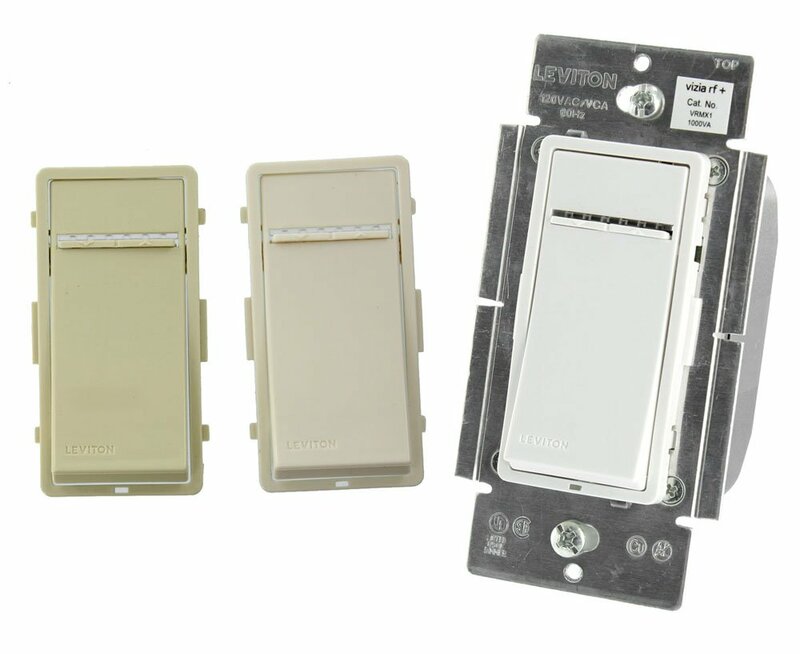 I obtained these lower cost products to add smarts to switches for two outdoor lamps. They are included in a routine to turn them on at sunset and off at 11:00 pm. This bulb is in an overhead fixture in our master bedroom’s walk-in closet. 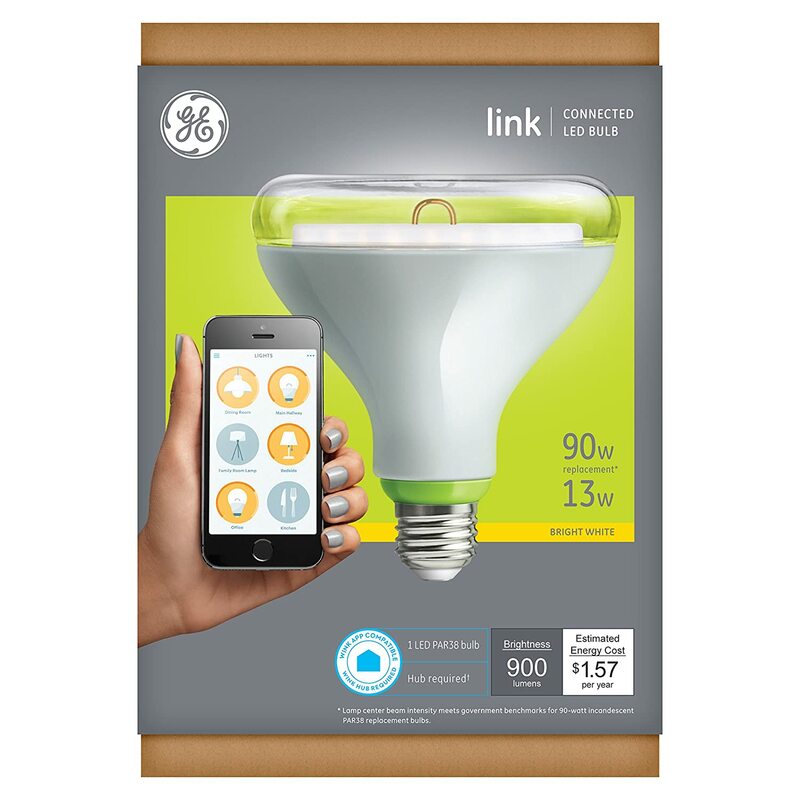 It is paired with a motion sensor which turns the bulb on as we enter and off automatically after five minutes of no motion detected. This bulb is in a cheap desktop lamp on a workbench in the garage. We have 8 of these in our vacation home. I no longer need to go up the stairs to turn some of them on at night and automatically turn them off if I forget. 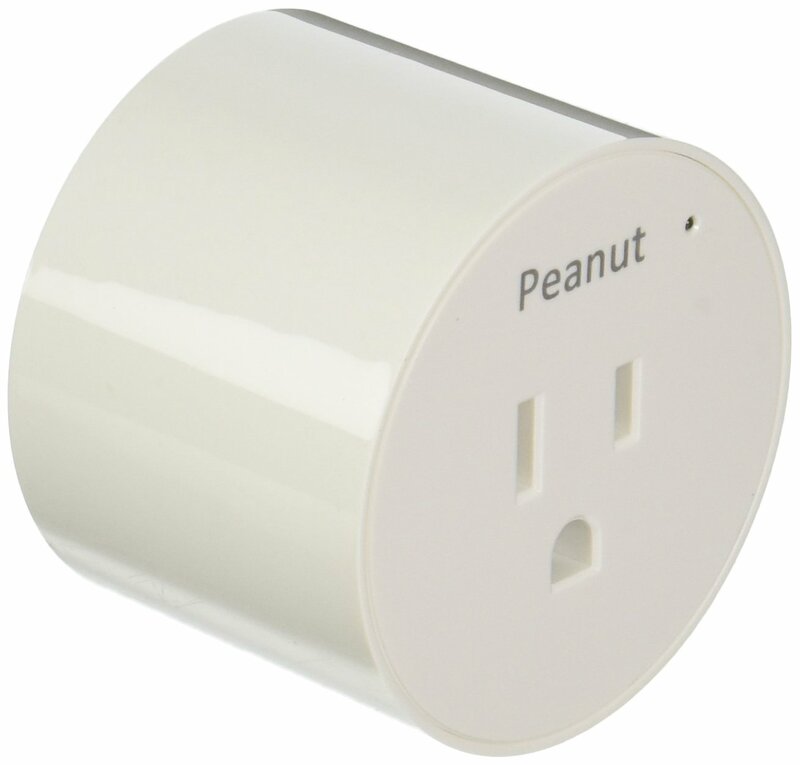 This outlet is now located close to our router providing control for a lighted display cabinet/hutch. 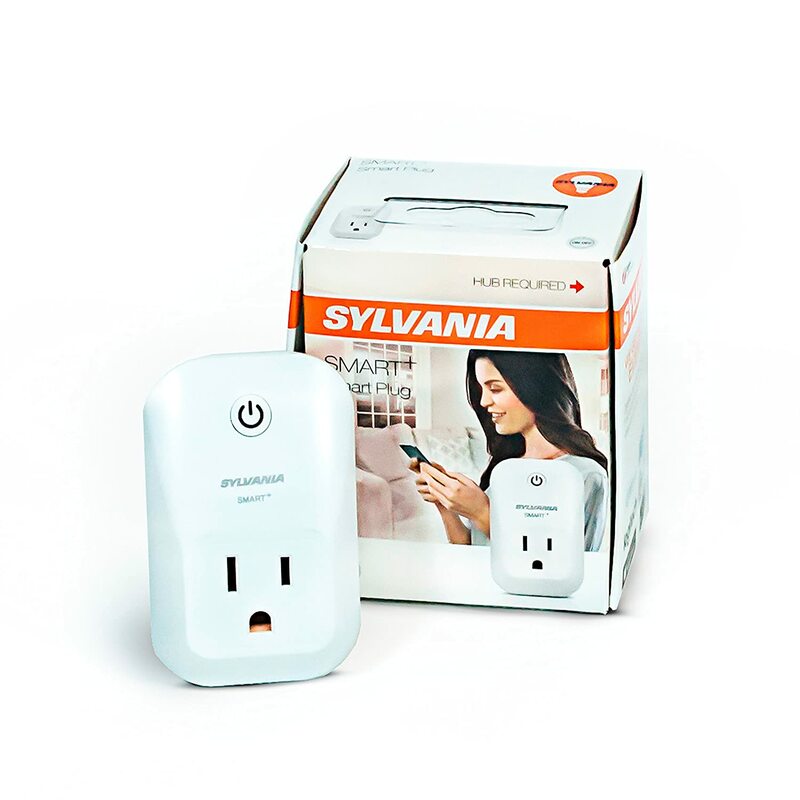 This smart outlet provides power to a recirculation pump attached to our water heater. 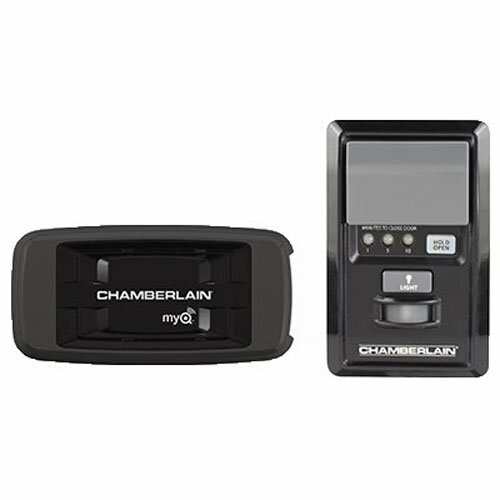 It allows the pump to be turned on and off via a program or at will. NOTE: The links are to the unit I purchased, but it is no longer available. Click here for the link to the upgraded replacement model which has a different shape. 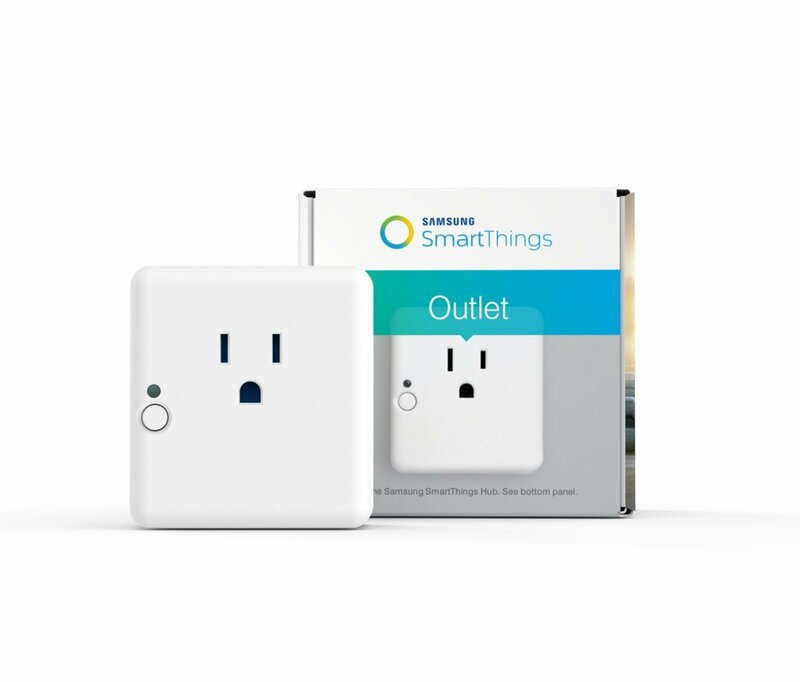 SmartThings replaced the Zigbee Outlet above with a new model. The old one was sourced from Centralite and I wanted a second matching one, so I got this. It connects to two dumb LED flood lights in our garage. 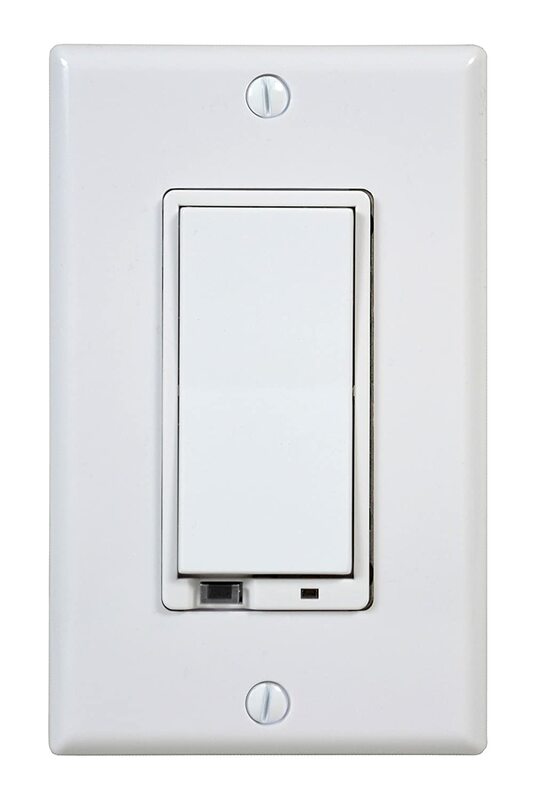 The outlet switches on triggered by the door open/close sensor (below) upon detecting an open and turns off five minutes after a door close. This outlet is being used with a single serve coffee machine without an auto shutoff. 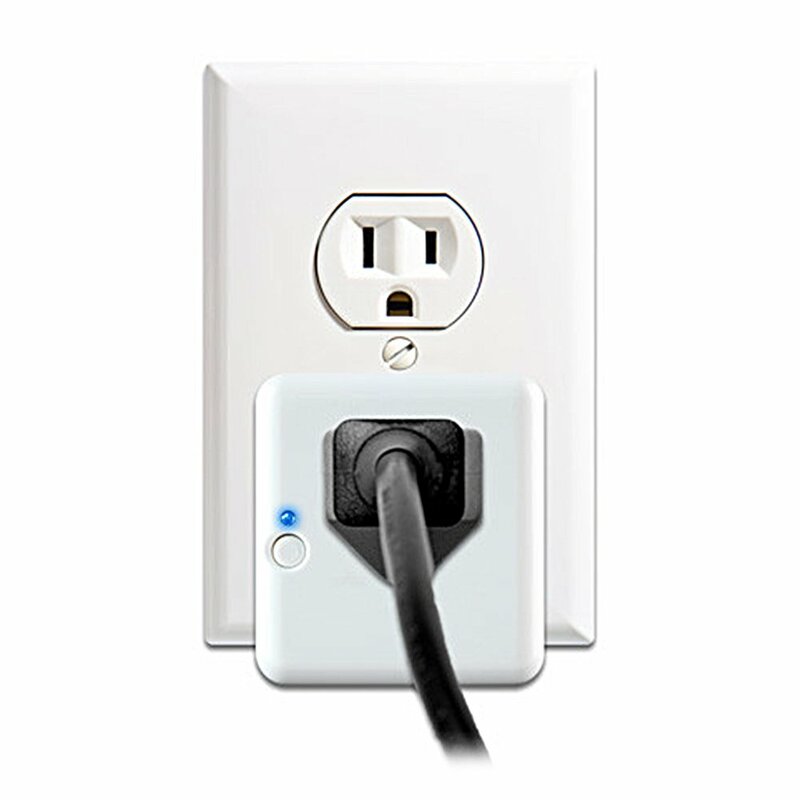 Its width results in its covering an adjacent outlet, but as it has both a controlled and non-controlled outlets, it is not a problem for us. 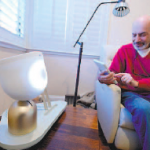 It is set up to shut the power off five minutes after it turns on the power, either manually or via an Alexa command. 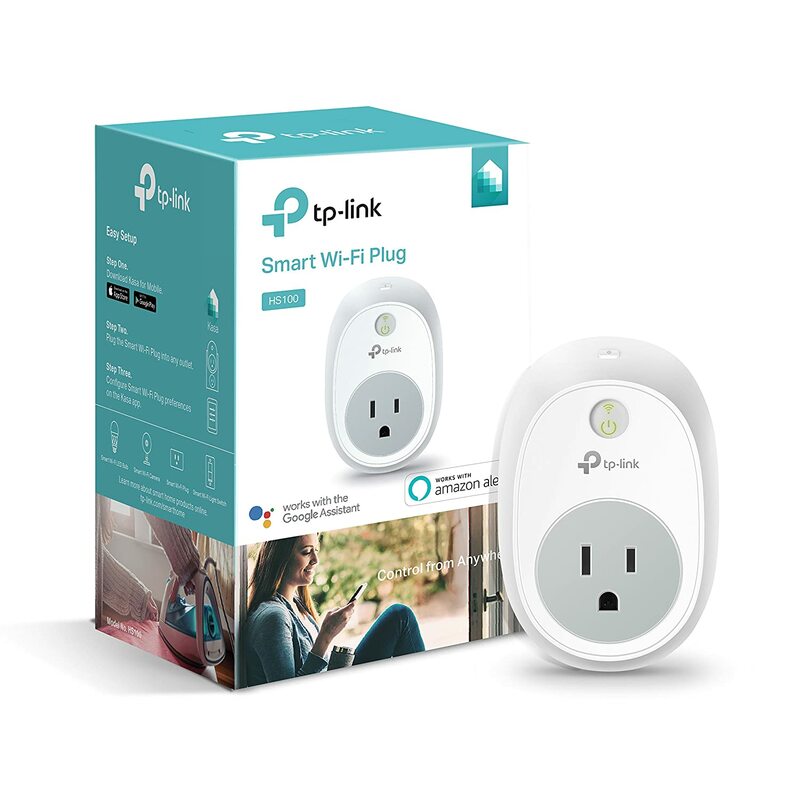 I got this product for its lower price then the other Zigbee outlets I had previously gotten. 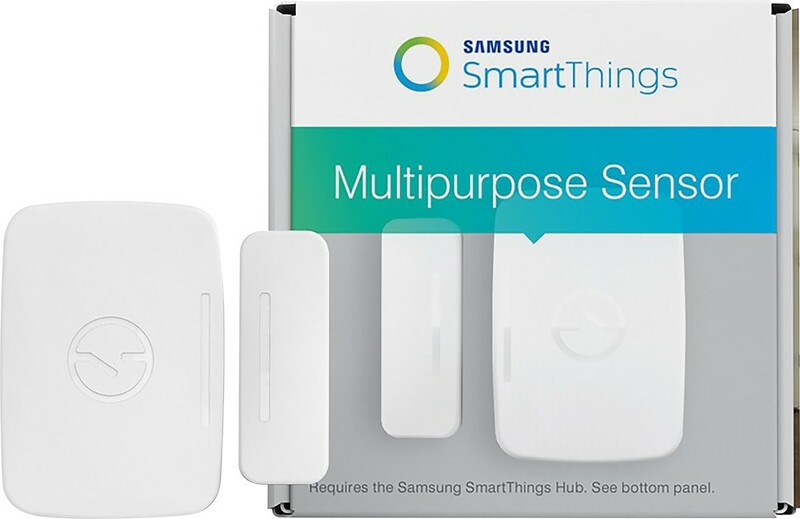 But this required a bit of tech know-how to get working with our SmartThings hub – I had researched that prior to purchasing. One is used with an electric towel heater that previously had been powered 24 x 7 x 365. A second one is used for holiday lighting but is left plugged in to improve the Zigbee network in my home. Like the one above, I got this product for its lower price but also for a known brand name. I have two. 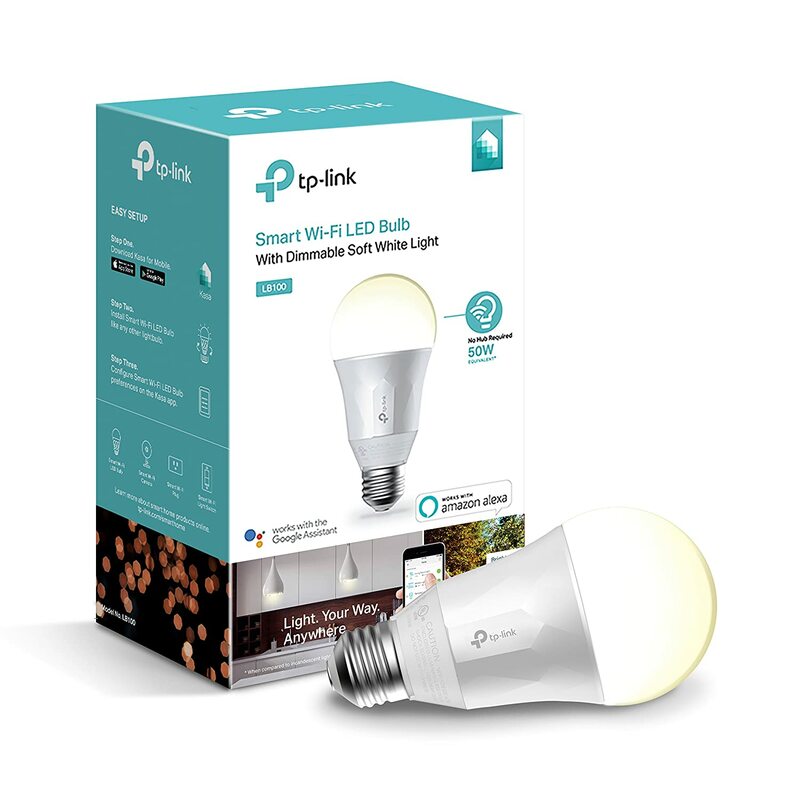 There were different experiences installing (with SmartThings) the first and second, with a long time between. The first required the same tech know-how. It is used as a one-hour auto shutoff for use with my wife’s personal care appliances, in particular, a hair curler. The second installed as a supported device and is used to light a lamp after dark if we’re not home. 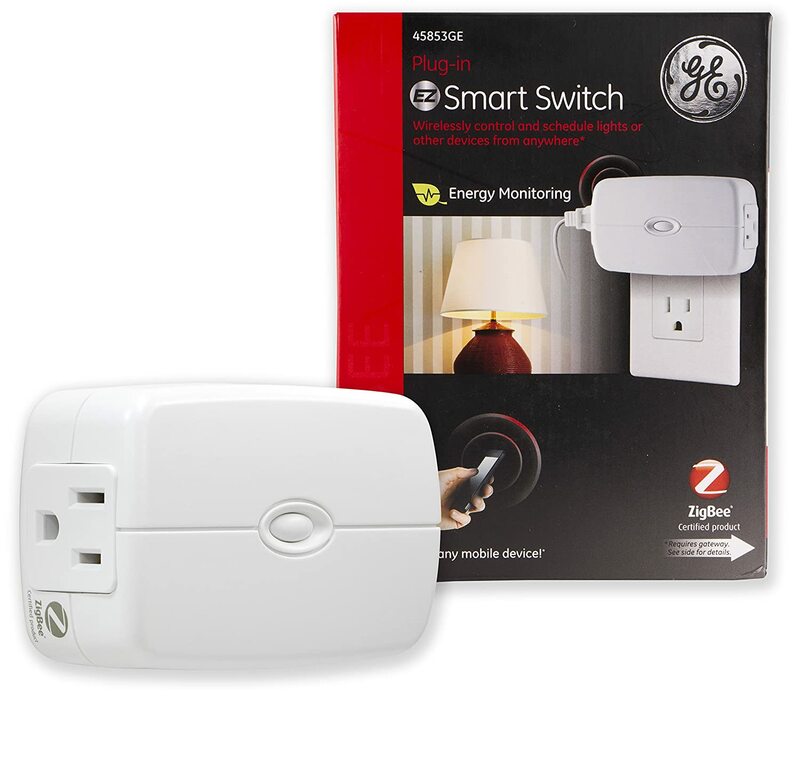 This is the same as the GE Zigbee Outlet above but uses the Z-Wave network protocol instead. It is installed in the garage to control the garden sprinkler system. 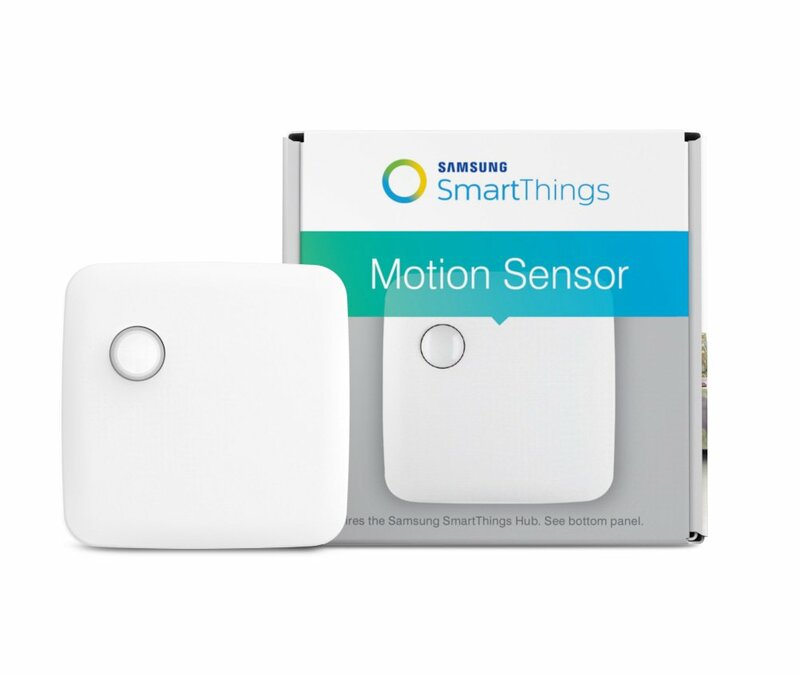 This, along with the other sensors below, was purchased not long after getting the SmartThings Hub when Samsung put them on sale. It is employed, with the Cree Connected Bulb above, for use in our master bedroom walk-in closet. There are four under each sink we have, plus one under our washing machine. An alarm going off when out of the home might not be heard by anyone. Being immediately alerted on my phone makes these devices much more valuable than the traditional solution. This device can be used on windows and doors to detect whether open or closed as well as acceleration and temperature (the above sensors also report temperature). It can also be used on garage doors. 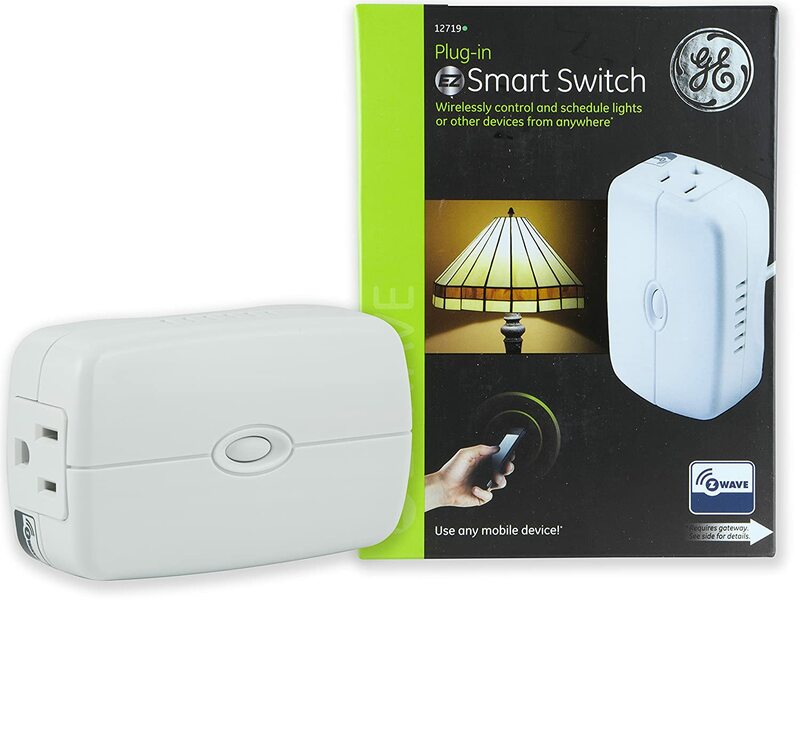 It is being used with the Centralite Zigbee outlet to turn on floodlights in our garage triggered by detecting door action and turn off five minutes after no further action. This thermostat was acquired when we replace our 30 plus-year-old central HVAC system in 2014. 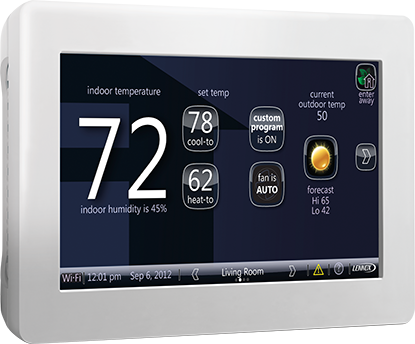 SmartThings does not support this thermostat. There is a community of developers that offer work they have done for themselves to integrate devices they own with the SmartThings system. It takes a bit of bit of tech know-how. I was able to integrate it with my SmartThings installation. An alarm going off when out of the home might not be heard by anyone. Being immediately alerted on my phone makes these devices much more valuable than the traditional solution. I installed three at chosen locations as these communicate with each other and will speak which one detected a problem. This is installed outside to monitor activity entering the courtyard in front of the entrance to our house. 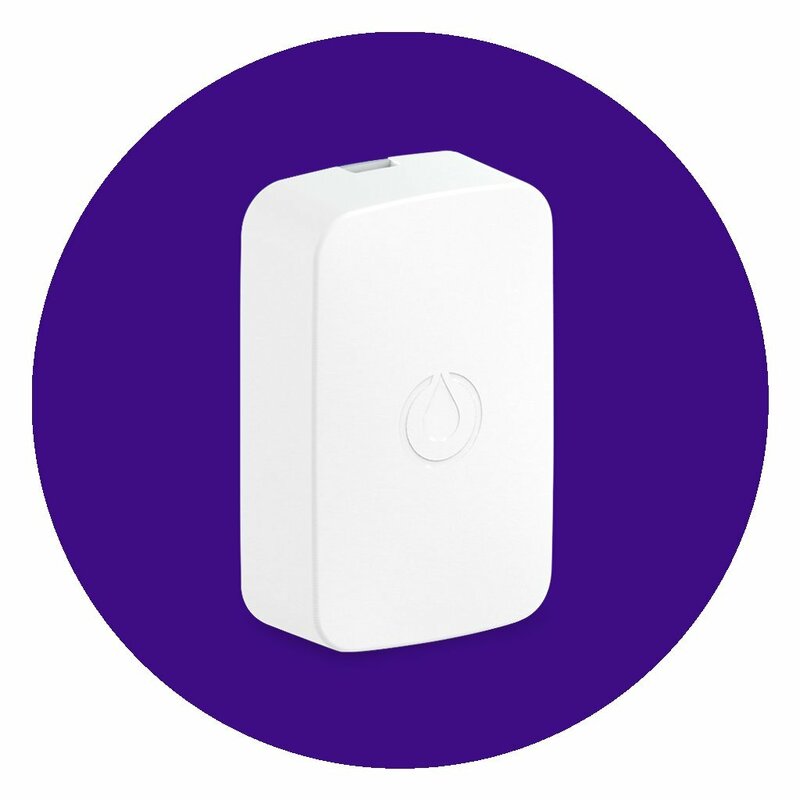 The SmartThings system can act as a security monitor. When all of us are out of the home (as determined by our smartphones’ location) the camera is activated. It is also activated overnight when we’re at home. This reports when the door has been left open for a certain amount of time and provides the ability to use its App to close the door. NOTE: The links are to the unit I purchased, but it is no longer available. Click here for the link to the upgraded replacement model which is quite different looking. 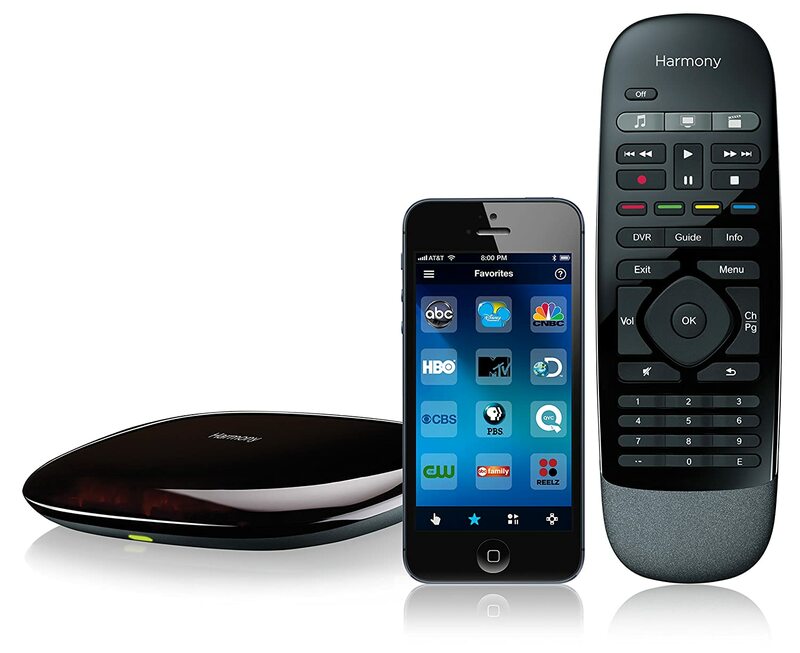 This is the most popular device for controlling home entertainment systems. I got it mainly to gain firsthand knowledge. 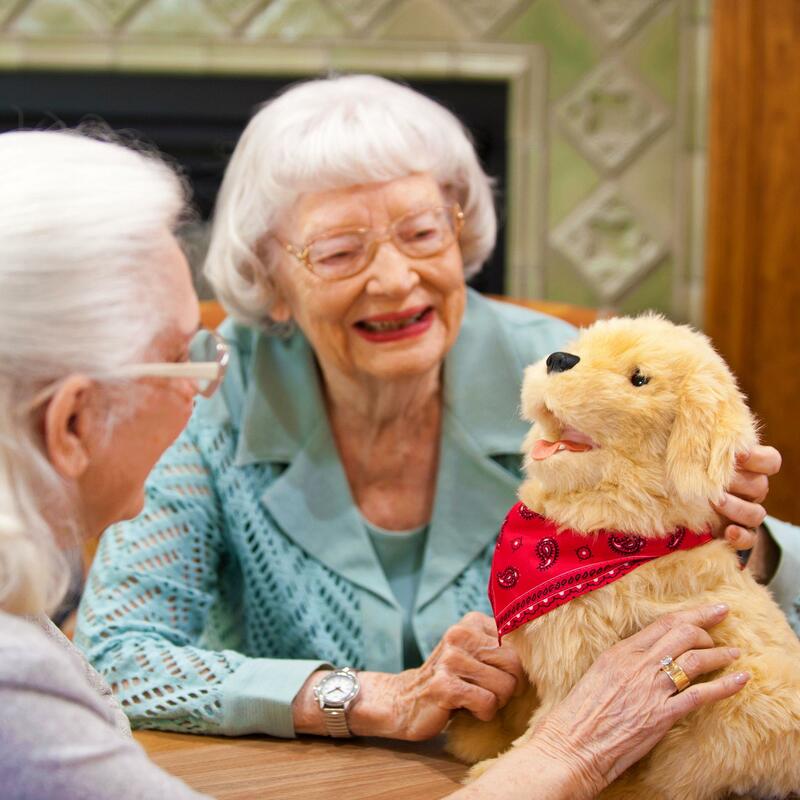 I had issues with its integration with my entertainment systems and subsequent changes added voice remotes eliminating its use in my home. 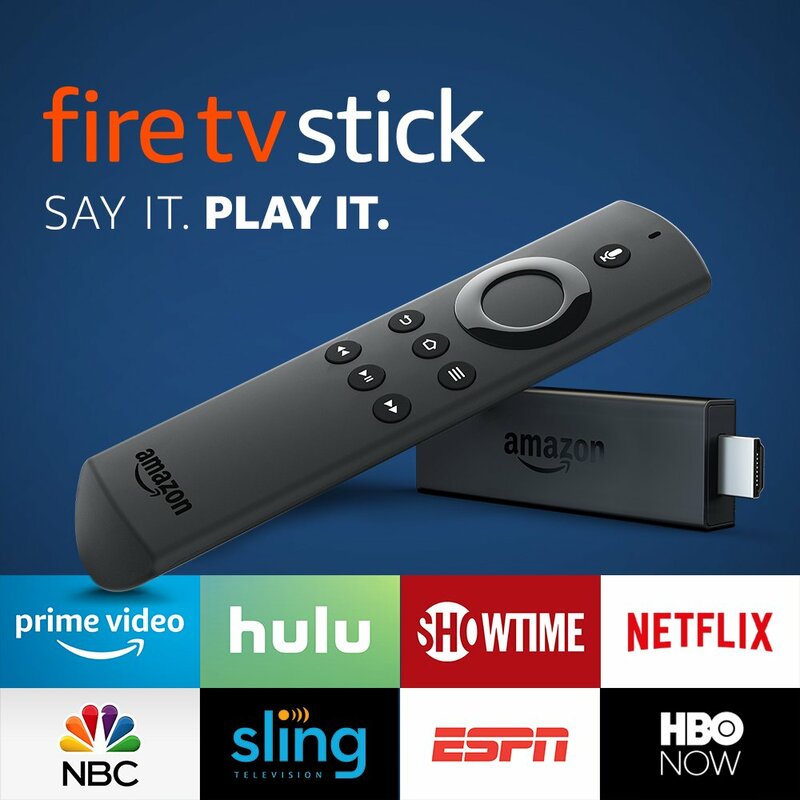 This inexpensive streaming device with voice remote and Alexa was purchased for possible usage by my mother-in-law. That did not come to be, but I now take it along when traveling. Several years ago I attached a mechanical timer to my WiFi router. Earlier routers I had allowed me to configure an automatic reboot of the router. A router is essentially a special purpose computer, and like most computers, it is a good idea to reboot from time to time to keep things running smoothly. 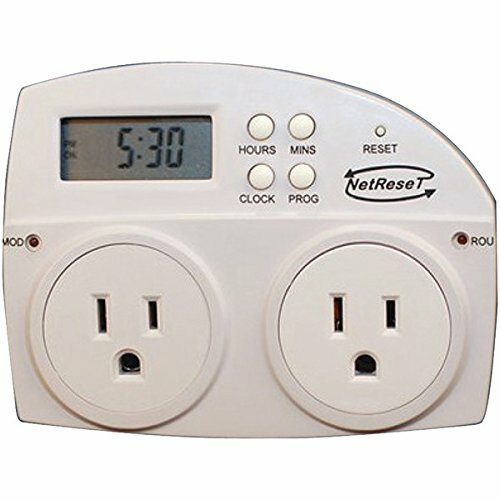 The mechanical timer was used to power cycle the router in the middle of the night because the newer one did not include the automatic reboot capability. 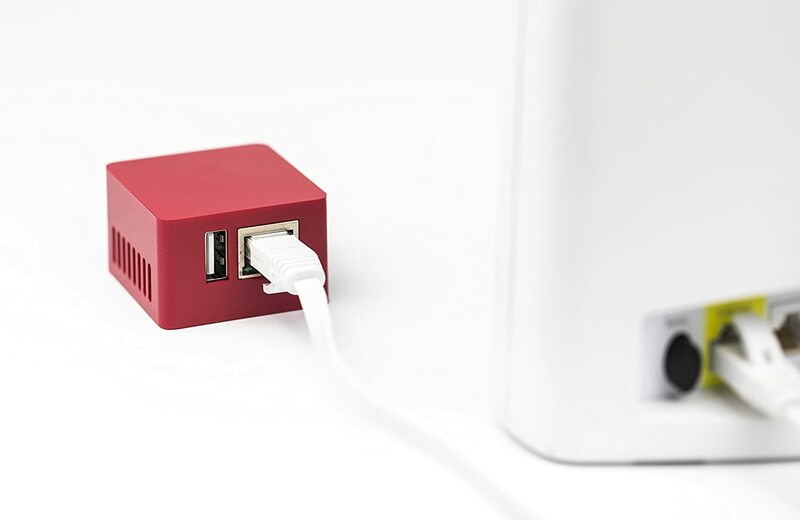 Many cable-based Internet Service Providers (what we use) offer a single “gateway” device that attaches to the cable and includes a WiFi router. 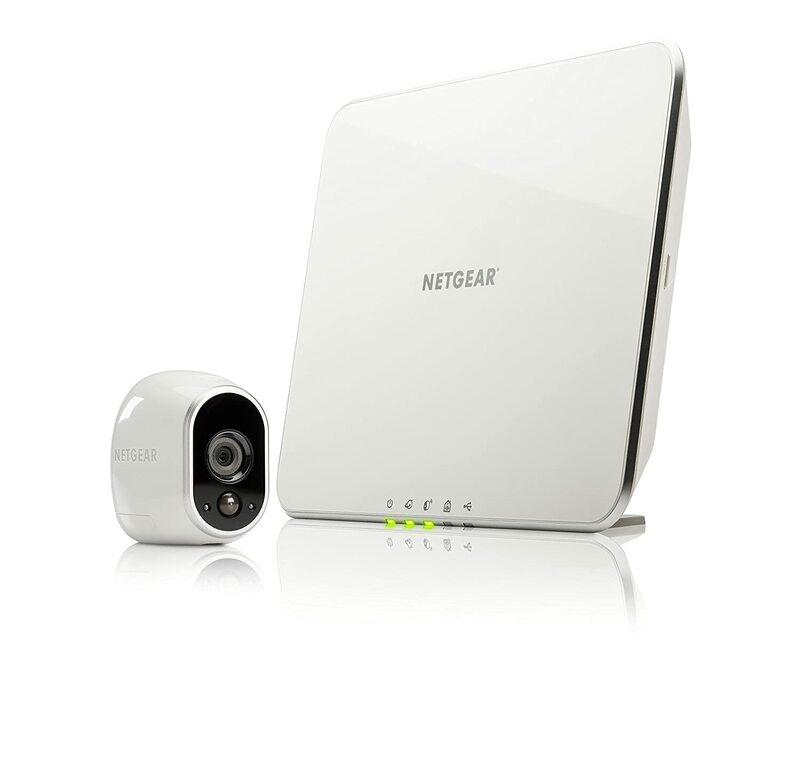 As I have a separate device that connects to the cable (a cable modem – the router connects to it) when I came across this NetReset device, which is designed for those of us with both a cable modem and a router, it struck me as a good idea, so I got it and have been happy with it. I have “backed” a few projects on the top crowdsourcing websites, Kickstarter and Indiegogo. This is not something I would recommend doing as many projects fail or take much longer than originally projected. This is one project that has worked out well for me. I’m not a networking expert and the simplicity of its installation was appealing. Firewalla has an impressive array of capabilities but I only use the most basic. I’m very happy that I got it because a few months ago my Internet Service Provider (Comcast) informed me that we had used 75% of our monthly data transfer allotment. I looked at past usage and it was generally about 30%. We were involved in a study at the time which included having a camera inside our home. My first thought was that this was the cause of the usage issue. I was assured that the camera should not be the cause. I turned to Firewalla to see if it would be able to help me figure it out, and lo and behold it did. It turned out that the problem was that somehow my Amazon Tap had gone haywire and was uploading very large amounts of data every day. Amazon had no idea why would be. I reset the Tap and it stopped doing that. 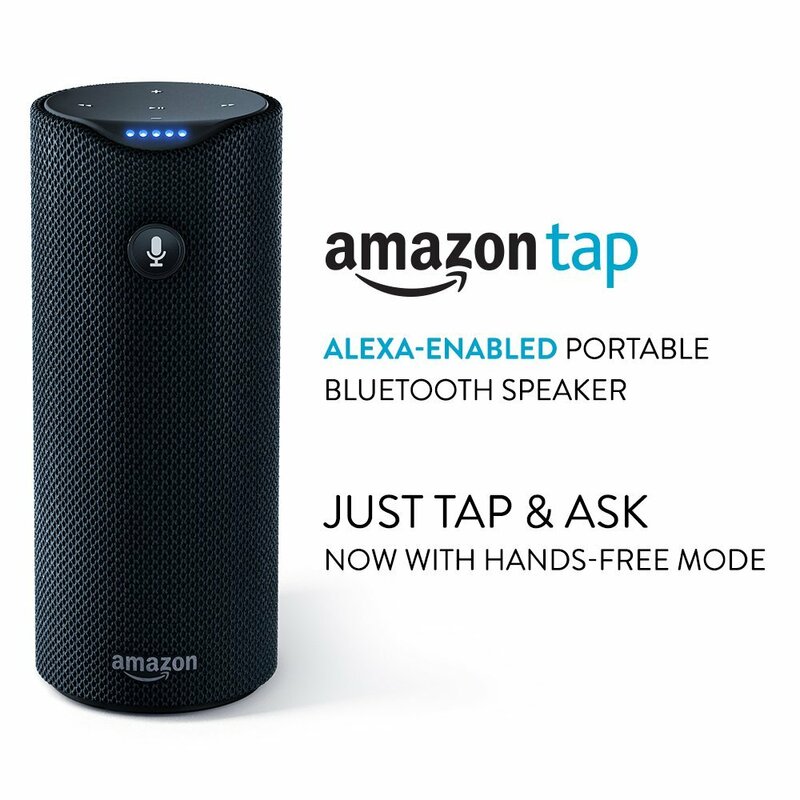 The Amazon Tap, Echo, etc. are all special purpose computers, as the router, but they are generally not reset and run continuously.